Long range shooting solutions for the tactical hunter have never been easier. Is the target at 500 yards? Simply turn the dial to the "5" and squeeze the trigger. It’s that easy. Whether you shoot an AR15 platform or a bolt action, the Leupold Mark® AR™ 3-9x40mm has it covered. The ½-MOA T2 elevation adjustment includes a pre-engraved bullet drop compensation (BDC) dial to match the ballistics of most 55 grain .223 Remington/5.56mm NATO loads. If you have a specific load you’d like to have matched, the Leupold Custom Shop can create additional dials for a nominal fee. The Multicoat 4® lens system delivers superior brightness, clarity, and optimal contrast, even in low light. 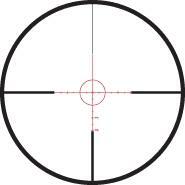 Available with Duplex® and MilDot reticles. Lockable, fast-focus eyepiece keeps your focus set. The power selector features aggressive knurling for easy adjustment, even with gloves. Custom Shop serviceable – customize your Mark AR. 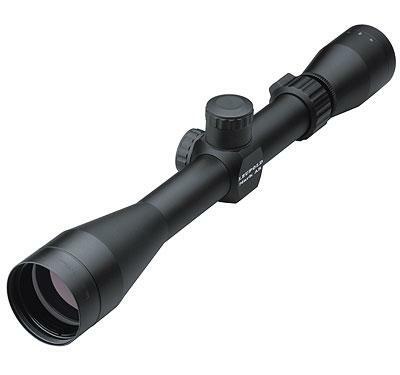 Tested to the same performance standards as Leupold® Mark 4® optics.